What we're excited about in this month's issue. The absolutely gorgeous cover of our March issue (pictured above) features an image of kidney organoids cultured under flow, prepared by Kimberly Homan and Navin Gupta. Read the paper here. We're also excited to present this Editorial which discusses the important issue of how to appropriately give credit to the software tools used in a research project. Our Points of Significance column, which has been on a brief hiatus, is back, with a discussion of how to design two-level factorial experiments. Finally, check out this Review of methods for studying RNA-protein interactions. We hope you enjoy these pieces and our other content! 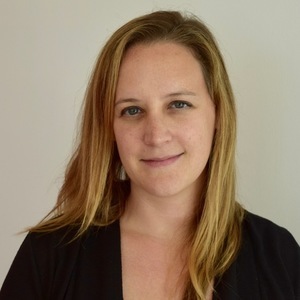 Allison has been an editor with Nature Methods since 2005, and chief editor since November 2018. She has been responsible for all areas of biochemistry for the journal, including structural biology and proteomics. Prior to her editorial career, she completed her Ph.D. in Chemistry at Princeton University, where she studied de novo protein design and protein-ligand interactions using NMR spectroscopy. Meet our authors from RIKEN Bioresource Research Center, Meijo University, and the National Institute of Advanced Industrial Science and Technology in Japan to learn about their fascinating invention for improving pluripotent stem cell culturing. Help build a new research platform!